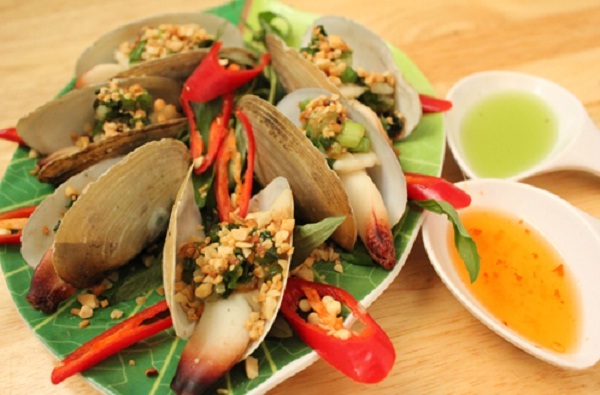 With visitors stay longer in Halong, you have a chance for selection of seafood feasts point here is therefore also richer. You can eat after bathing in the restaurants around the Bai Chay tourist center if afraid to go away. However, prices here belong to the most expensive because of the location ‘facade’ in tourist areas. If you want to enjoy the fresh taste of crab, crab fat as he stepped ashore, please be sure to ask the price before ordering. For those travelers who travel Halong at obvious time, they often look to the seafood restaurant across town. That’s sidewalk cafes on coastal embankments in the area of ​​Ben Doan, Bai Chay by about one kilometer. From far away you can smell the fragrance nose tingle of oysters, clams, snails baked. Call sip a beer and oyster plate with baked milk, will not have anything more wonderful when you enjoy the salty sea in windy bouts. Rustic style at affordable prices is a plus that many whisper travelers to this place. Very close to the Royal International Park and Bai Chay ferry passing Cua Luc River , Halong Night Market is began waiting since 6 pm meeting . When the sun sets last red rays of the day down at the beach city is also the salesperson has finished cleaning up their shops and open sale. 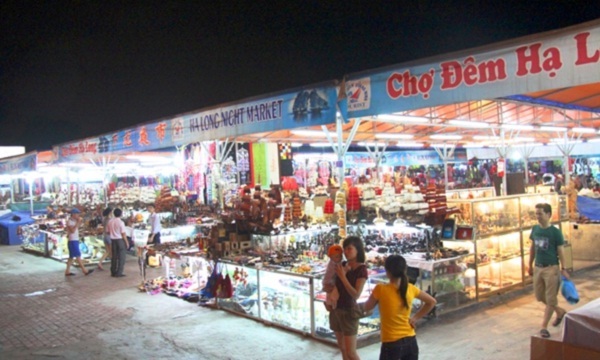 The products at Halong night market mainly souvenirs sea flavor and all kinds of seafood rarest sea in this country. 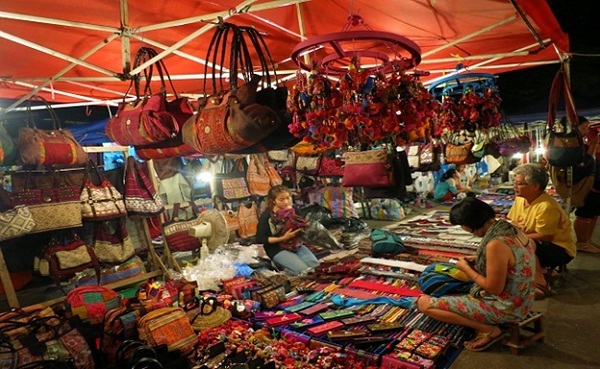 Travelers come to Halong night market has both domestic tourists and foreigners. Foreign tourists mostly Asia like Thailand , China , Europe such as the Netherlands, France, England, … They rather enjoy the scenery before bustling night market, with fresh seafood dishes also the processed food is simple but tasty. And there have another attractive thing in Halong that you should not indispensable. Are you ready to explore the night in Halong Bay?